We had our most recent Nature Club meeting at South Mountain State Park on Wednesday, and it was so much fun! We had beautiful weather, and found all kinds of neat things. We're currently studying wildflowers, and our illustrious leader, Cheri, brought a daisy plant, complete with roots, for the kids to draw. That was pretty cool. I didn't think to take a picture of their drawings! Next time. We found this nifty little caterpillar. See it there on my finger? 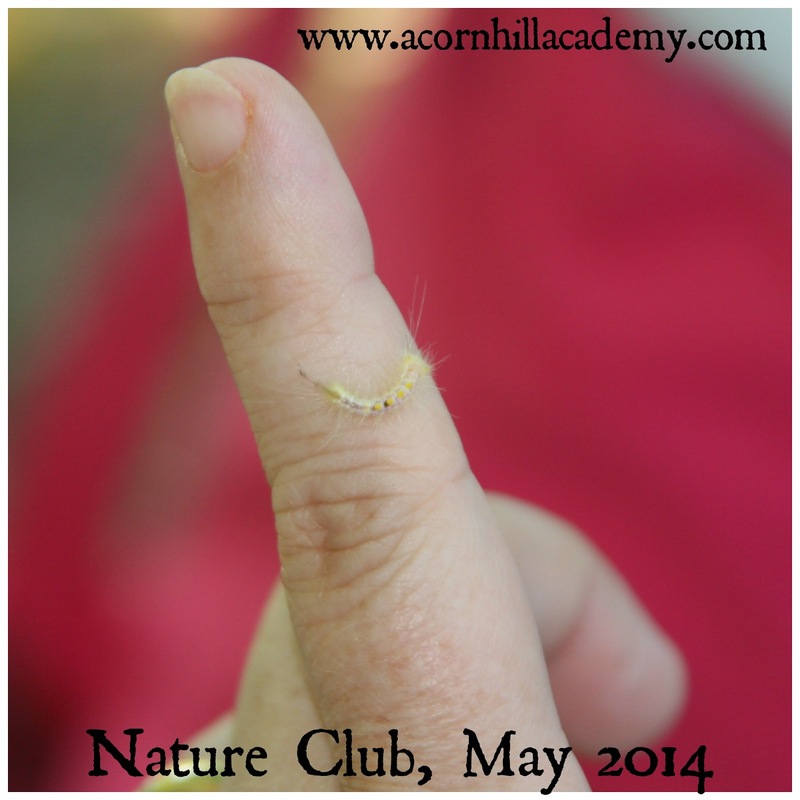 One of the kids called it a "toothbrush caterpillar." I tried looking it up, and most caterpillars referred to as toothbrush caterpillars are some kind of tussock moth. I couldn't pinpoint this one; the closest I could come was a definite-marked tussock moth, and I'm not sure that's quite it. If you know, please tell me! When I read about tussock moth caterpillars, the information I found said if we touched them with a bare finger, it would feel as though we'd touched fiberglass, and some of them can sting, too. I didn't try to touch it, I guess, just encouraged it to crawl on my finger, and I didn't have any issues. Once we started our nature walk, we looked for flowers. 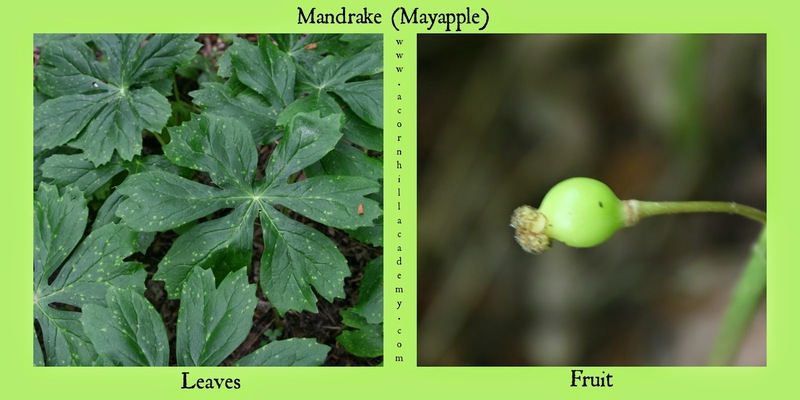 I found the mandrake (mayapple) we saw last time, but we missed the flower. It has fruit now! I still didn't pull any up to check for screaming babies. Sorry. Heh. 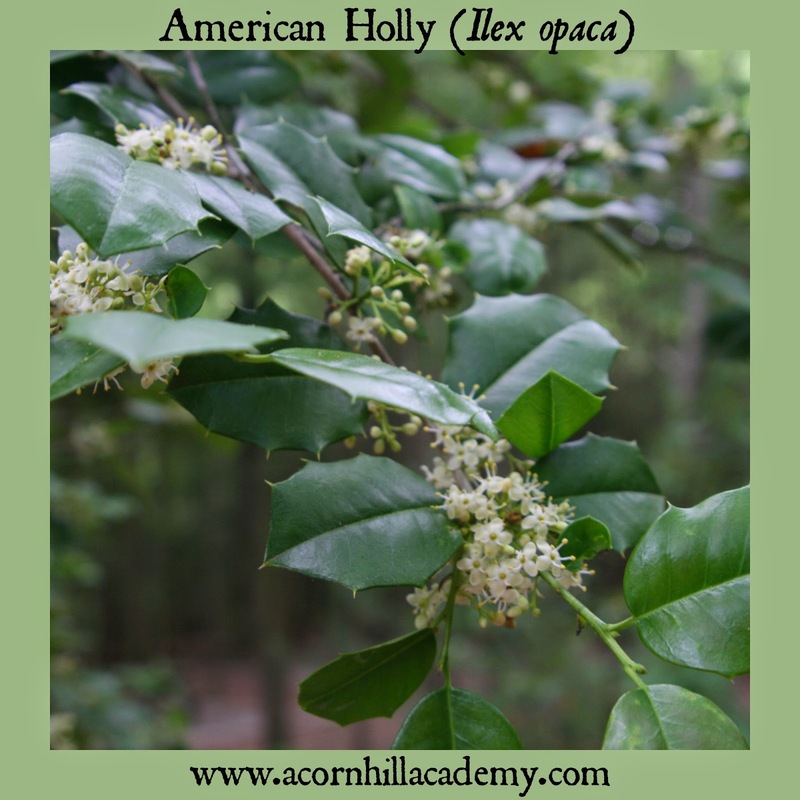 Check out this American Holly. Isn't it lovely? 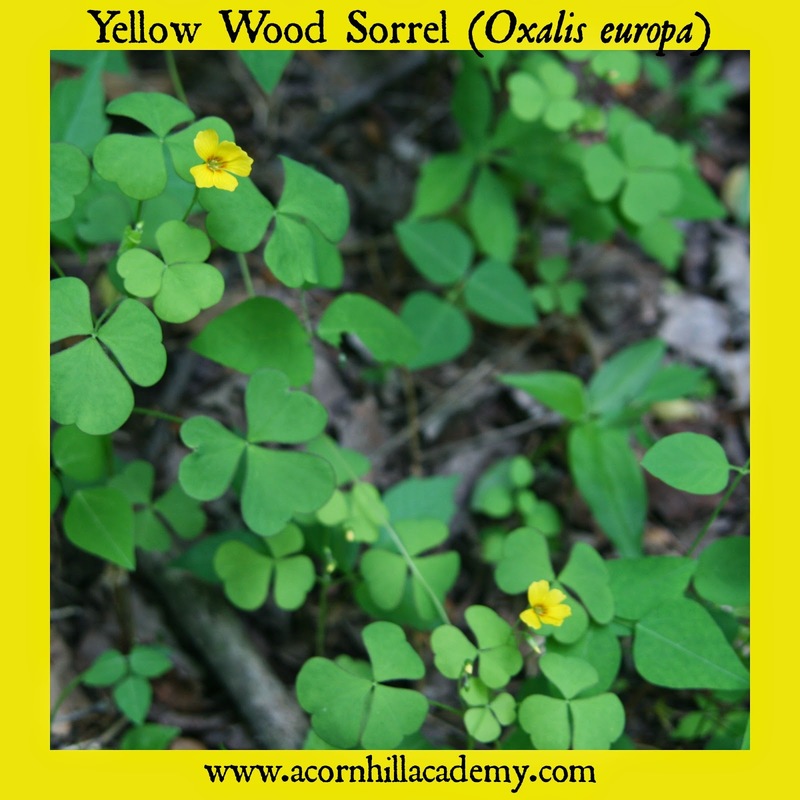 Another plant we saw was yellow wood sorrel. 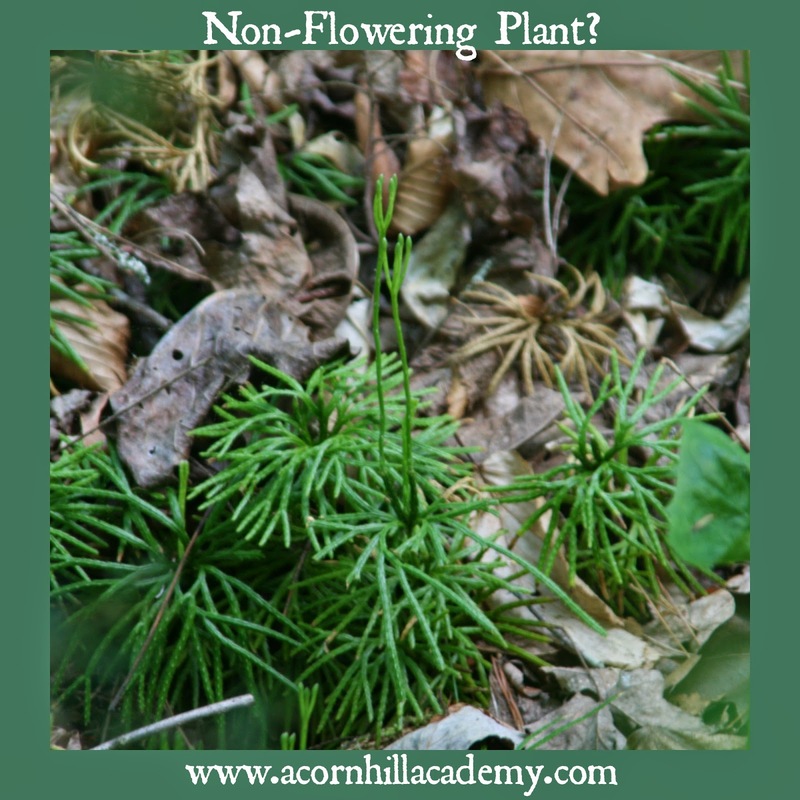 I have a memory of my mom calling this plant sheep sorrel, but that is an entirely different plant. 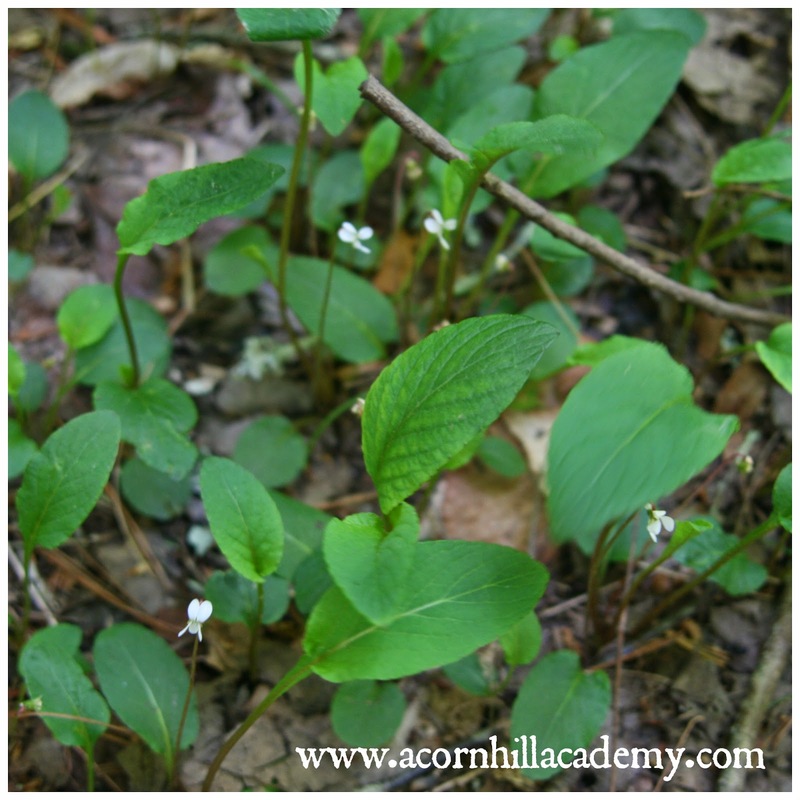 I am not sure if she called it sheep sorrel or if my memory is faulty, but this plant is fun to munch on. The leaves are tangy. It makes me smile, remembering finding it every summer as a child in Michigan. I saw these nifty little plants, which I believe are non-flowering. I have no way to prove that, of course, but I will keep an eye on them when we go back. If you know what they are, please fill me in. I have tried to identify them, but I don't have a good source for non-flowering plants. We think these little flowers are primroseleaf violets (Viola primufolia). The name reminds me of something Edward Lear would have used. My favorite find was what Cheri called "hearts a-bursting." I had never seen the flowers before, but when I looked it up, I realized the girls and I had seen it years ago with fruit on it along the trail around Lake Pine. Someone walking by told me it was a "strawberry bush." I'm looking forward to watching the progress of these flowers into fruit! We walked up to Shinny Creek, which is pronounced "shiny," ate lunch, and played in the river. I found so many pretty rocks! They all had mica in them, and were, well, shiny - hence the name of the creek. I'm looking forward to our next trip out to the park! We didn't get to stay and play in the river when we were done with our nature walk last time, but I hope we can next time. They found a salamander after we left, and Isaac has been dying to find one!